Stuttgart/Singapore. The “Porsche Race to Singapore” has crossed the finishing line – with Simona Halep as the victor. After amassing 6921 points, the 27-year old Romanian has won the qualification for the WTA Finals in Singapore for the second time after 2017. She was today – Saturday – presented with the winner’s prize, a Porsche 718 Boxster GTS with 365 bhp. The WTA Finals, for which the season’s eight most successful players have qualified via the Porsche Race to Singapore, will be played in the Singapore Sports Hub from 21 to 28 October. 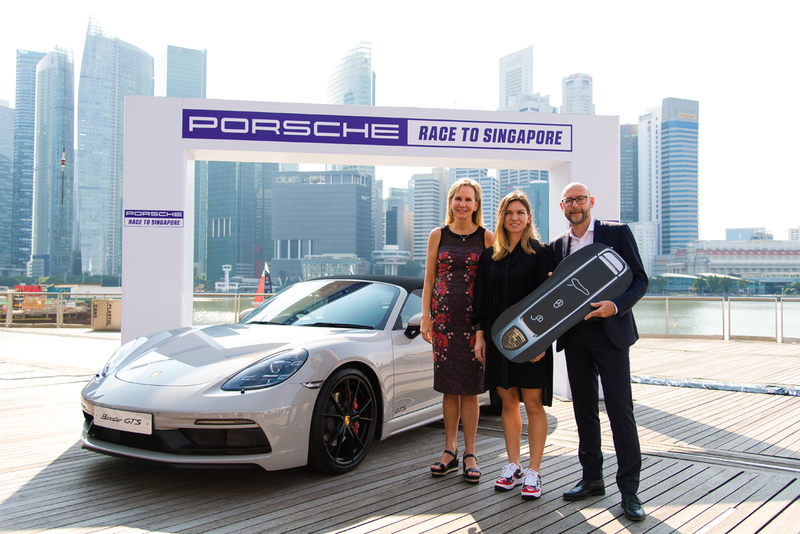 As a part of its global partnership with the Women’s Tennis Association (WTA), Porsche has been the title partner of the “Porsche Race to Singapore” and the exclusive automotive partner of the WTA for two years now. The car maker has thus intensified its good long-standing cooperation with the body governing women’s tennis. Porsche has been the sponsor and organiser of the Porsche Tennis Grand Prix, which has been regularly voted by the players as their favourite tournament in its category, since 1978 and 2002 respectively.